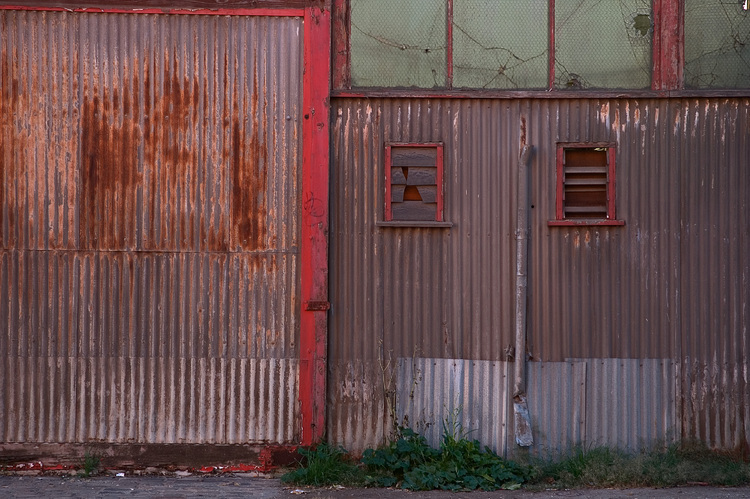 My walk around the back-blocks of Port Adelaide took me past this old shed. At some point someone had painted its trim in a bright red, but it looks as though that was quite a while ago. Details: Nikon 18-70mm, 55mm, f/5.6, 1/80s, ISO 200.
yeah, great shot. I like the way the two small windows obsolete drain pipe and newer cladding make a winking face, as if the building was posing for the shot.